The Tidal Fraser River may seem like a dirty shipping channel for most people who drive by it daily, but when looked closely one will discover the complexity of this ecosystem. Between early spring and late fall, micro-inhabitants can be found almost anywhere in this river. Juvenile salmon and steelhead begin their journey down the Fraser estuary to start their ocean phase in spring and summer. Hundreds of fish can be seen travelling tightly in the shallow water, to avoid whatever hide in the deep. Sticklebacks, large and small, feed near rocks, logs and pylons during the summer months. Eulachon, a species of anadromous smelt, make their way into the Fraser River around late winter to spawn. Sculpin travel to inshore waters with the high tides. All these movements make a appetizing feast for two common predators in the Fraser - Coastal cutthroat trout and bull trout. While they can easily be caught by spoons, spinners and bait, fly fishing is a really exciting yet challenging technique that you should try out. Although a fly lacks the scent of bait and the vibration of lures, it in fact offers advantages that cannot be replicated by other methods. A fly can match the food items which predators feed on down to the tiniest details, such as eyes and fins. The angler can also suspend a fly in the shallow water without snagging onto rocks and weeds too often. Bull trout and cutthroat trout in the Fraser River often feed very close to shore, where most baitfish are travelling through. In spring and summer, you will often see big splashes appearing occasionally in the shallows as ferocious predators take a bite out of school of salmon fry and other small fish. These signs always make me run for my fly fishing rod so I can send a fly out. More often than not, a strike will occur if you place a fly near a splash. This fishery is very dependent on Fraser River's water clarity. If water is dirty, then your fly is unlikely to be seen by the fish. 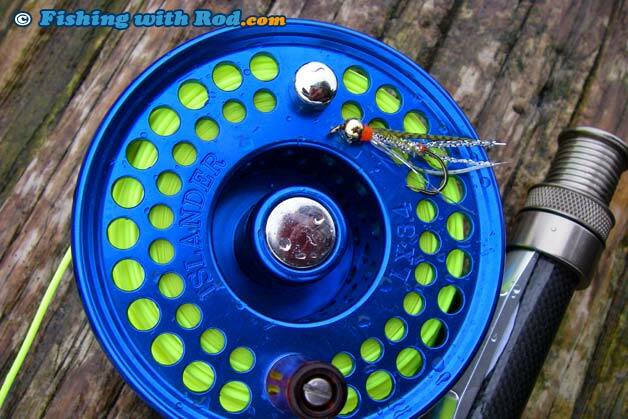 Visibility at 2 to 4 feet is more than enough for trout and char to spot your small fly. The Fraser River rarely becomes too clear, which is actually an advantage for anglers because it provides some cover for the unsuspecting fish. In fact, a sunny day is likely more productive than a cloudy day since penetrating light makes the fly stands out more in the murky water. For a fair weather fisherman such as myself, this is an appealing feature when choosing where and when to go. Don't be discouraged if water visibility is down to only a few inches. Although difficult, it is not impossible to catch them under these conditions. 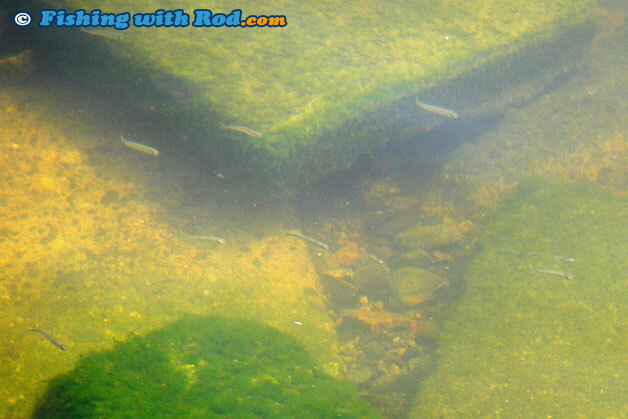 After all, trout and char continue to feed when water becomes dirty so they must be able to see somehow. A larger, darker and more articulating fly is ideal when visibility is poor. February to April are the best months for this fishery. The fish are at their strongest stage due to the abundance of food and water clarity is almost never an issue. 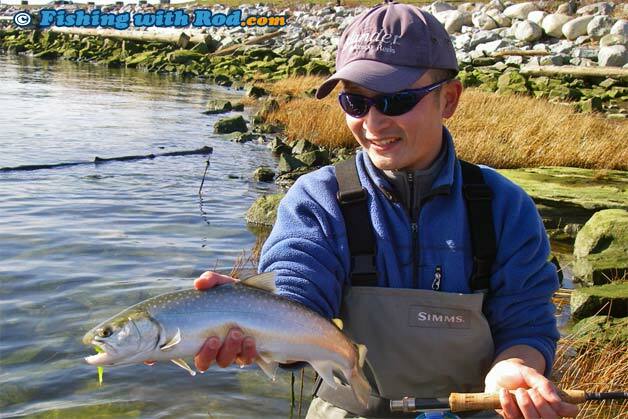 Freshet usually begins in late April so fly fishing is almost impossible from May to July. Cutthroat trout normally re-appear in August and bull trout are only found after September. While water clarity is excellent in December and January, fishing is usually poor because water temperature is low and most fish are spawning in tributaries. Another factor that influences your success is the tide. The tide influences the Fraser River up to Hope. From Steveston to Mission, water level can change as much as 10 feet during each tide change. These shifts move fish around so there is not one particular best spot for targeting them. Instead, you should combine the effect of tide, time of the year and weather to maximize your catches. To do so, it is best to keep a diary that records the conditions of each trip. A 4/5 weight setup is adequate enough for this fishery, because most bull trout and cutthroat trout you will encounter are between 1 and 3lb. Occasionally, larger bull trout will appear but fighting them with a light setup is not an issue due to the absence of strong river current. For throwing heavier flies, you may wish to upgrade your setup to a 6/7 weight. There are two fly lines that I use in this fishery. A floating line such as Scientific Anglers GPX is used for fishing in shallow bays with very little or no current. A intermediate clear sink such as Scientific Anglers Stillwater is used when fishing in steeper drop-offs or where stronger current exists. Your leader length depends on how much you want your fly to sink. I usually use 9' of leader on my floating line and allow it to sink for a few seconds before stripping, while using only 4' of leader on the clear intermediate sink and retrieve as soon as the fly lands in the water. Fly patterns that imitate salmon fry, sticklebacks and sculpins are typically found in my fly box. The smaller ones (size 6 to 10) tend to entice cutthroat trout and smaller bull trout, while bigger items (size 1 to 4) are mainly used for larger bull trout. Always look for bait swimming in the water when choosing your flies. 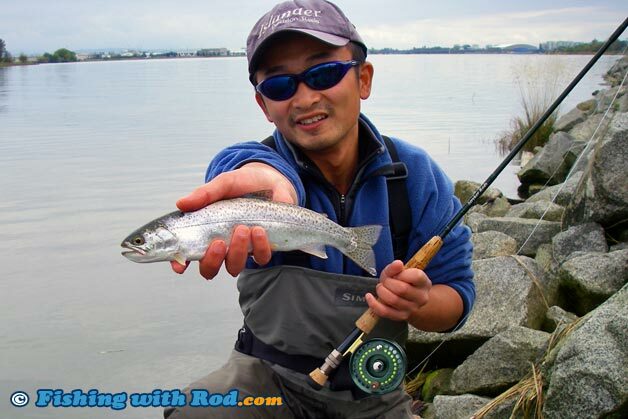 When fly fishing in the Fraser River, fishing spots are more limited compared to lure fishing, just like most fisheries. A gently sloped beach with plenty of back casting room is usually my number one choice. I prefer to wear a pair of waders but only wade out slightly to my ankles so I am not standing at where fish are feeding. Too often I am surprised by the last second take when the fly is almost lifted out of the water. Structures like rock piles, submerged logs, pylons, piers and eel grass beds are common feeding grounds for these trout and char. They are hiding spots for baitfish so predators will stage nearby and wait until their prey swim out. A catch and release net might seem like an overkill, but it may just come in handy because you have to release most of your catches. The only fish that you can retain are hatchery-clipped cutthroat trout but personally I release all of them as they are too small for a meal anyway. You should also make sure that you have a valid tidal water fishing licence and read the most current fishing regulations before the outing. For fly fishermen in Metro Vancouver, this is an under-utilized urban gem. The nature experience that a mountain stream provides is undoubtedly better, but this is definitely an excellent substitute if you only have an afternoon to spare and need a quick cure of the fishing bug.